The PCC Aerostructures Benefit Program offers you a variety of medical plan choices. Depending on your individual needs, you may select one of these three plans. All three plans are administered by Premera Blue Cross. Feel free to click on each of the plans to pull up benefit summaries. A Health Savings Account (HSA) is an account that you own to build savings for current and future qualified healthcare expenses. Before you can open an HSA, you must first be covered by a qualified high-deductible health plan. Click here to learn more. What is the Specialty Pharmacy Program? The Specialty Pharmacy Program is for members who require high-cost ‘specialty’ medications that are used to treat complex or rare conditions. Taking specialty medications often means you’ll need extra help learning how to take and manage the medications. Click here to learn more. Login on Premera's website in order to find a doctor located near you. When logged in, you'll be shown your specific network providers and facilities. 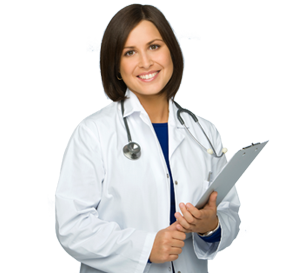 You'll also get access to helpful cost-of-care information for various healthcare procedures. Find a Doctor with Premera Blue Cross! Please call the Premera member services line at (800)722-1471 when seeking information regarding claims or services provided. If you feel you are not being assisted to your satisfaction, please contact The Solution Center at (888) 248-8955. You can now Register with Premera Blue Cross if you need to print a temporary ID card. All plans are effective January 1st, 2016. For questions about claims, please call the member services contact number located on the back of your Member ID Card. For questions regarding plan eligibility, benefits or enrollment forms, contact The Solution Center at Ashbrook Clevidence.